According to Artifacts – http://www.artfacts.net/en/artist/sarah-lucas-2044/profile.html – Sarah Lucas is again very active concerning exhibitions. Actually she has exhibitions in Vienna (21er Haus) and Kent. And she will do further group exhibitions in Venice, Athens & Zurich later during this year. Attached I show a signed catalogue from Portikus, Frankfurt from 1991. 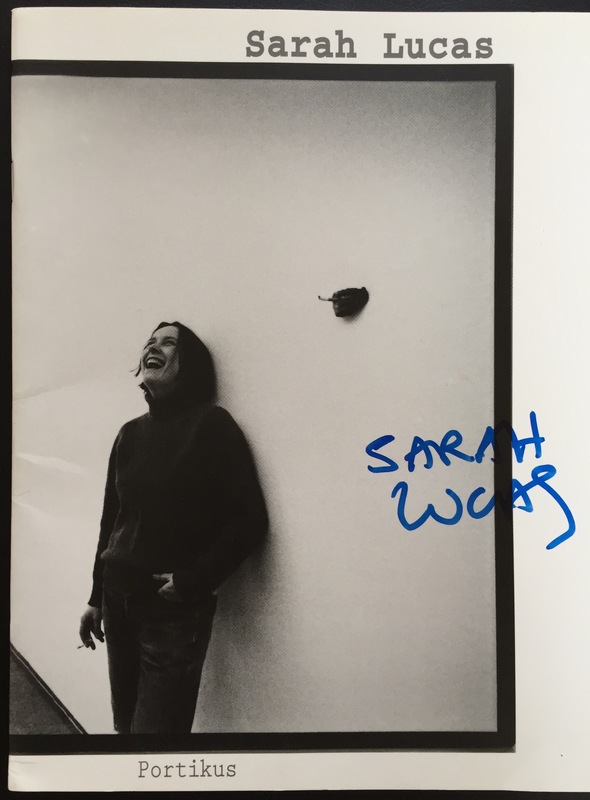 I like how happy Sarah Lucas is on this image.